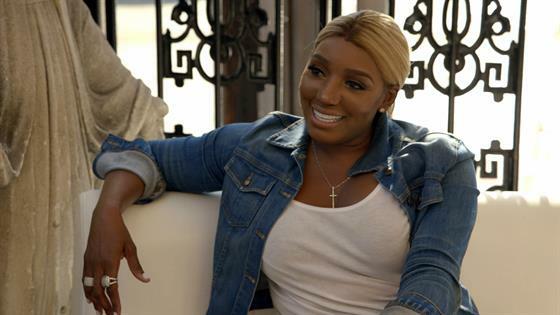 NeNe Leakes Screams and Admits She's "Scared of Bottles" During Hilarious Champagne Scene on The Abbey: Watch! NeNe Leakes stops by The Abbey this Sunday! In this hilarious scene from this weekend's What Happens at The Abbey, the Fashion Police co-host stops by the Los Angeles hotspot for her friend and owner of The Abbey, David Cooley's birthday party. While waiting to surprise David, Abbey employee Chelsea decides to open a bottle of champagne, which scares NeNe! "Girl you know I'm scared of bottles," NeNe tells Chelsea. "Oh no I'm not pointing it towards you don't worry," Chelsea assures her. But NeNe still can't handle being close to Chelsea popping the champagne. "I can't even take it! I'm so scared of that stuff," NeNe says as she starts to scream. Watch the video above to see NeNe admit she's scared of bottles!